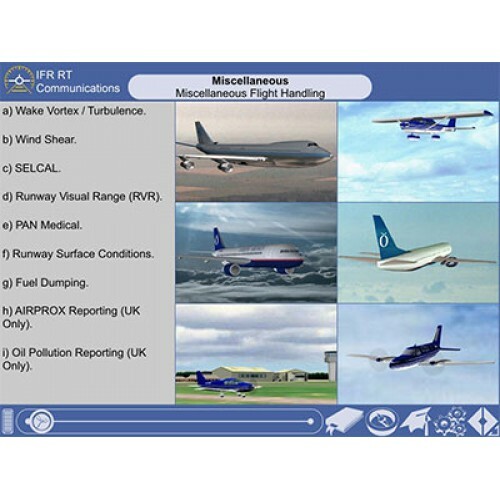 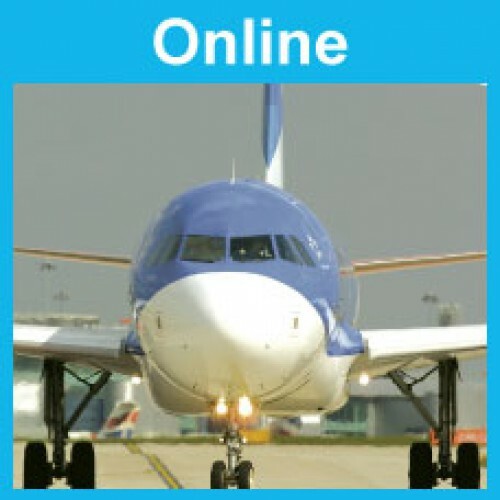 This IFR RT Computer Based Training (CBT) from CAE Oxford Interactive Learning is a follow-on from the ICAO version of CAE Oxford Interactive Learning's VFR RT CBT tutor. 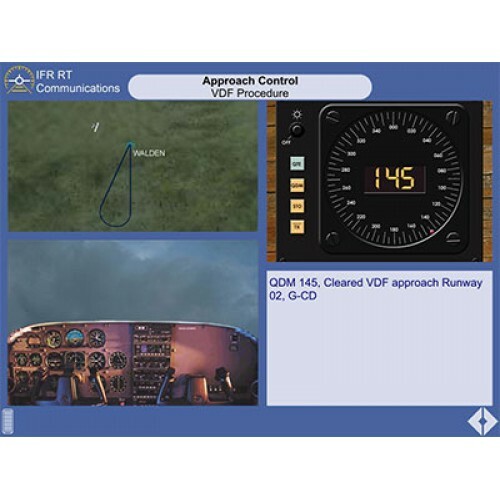 It is intended for pilots who have completed VFR RT training and who now wish to expan their knowledge and skills to IFR situations. 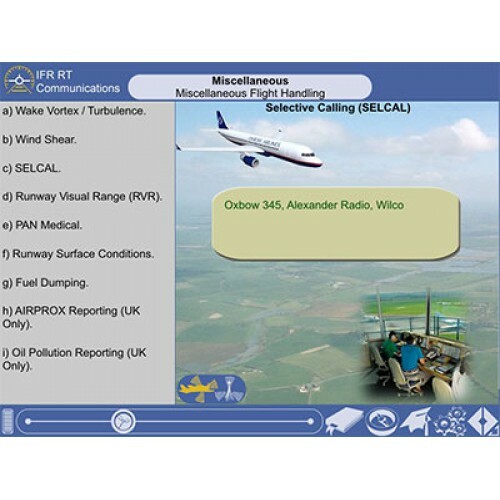 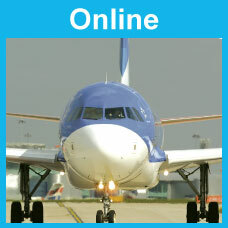 The CBT complies with ICAO IFR RT procedures. 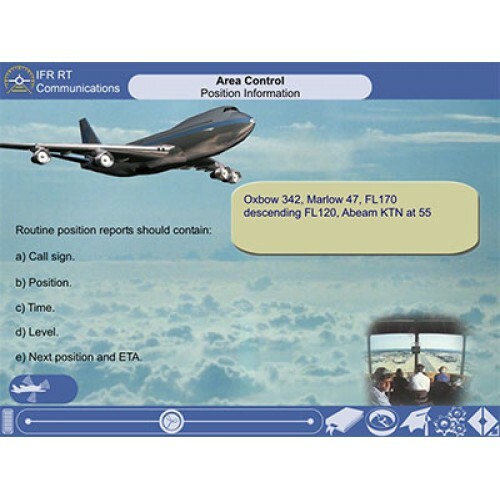 Its main purpose is to provide pilots preparing for an Instrument Rating test with practical instruction in IFR RT skills. 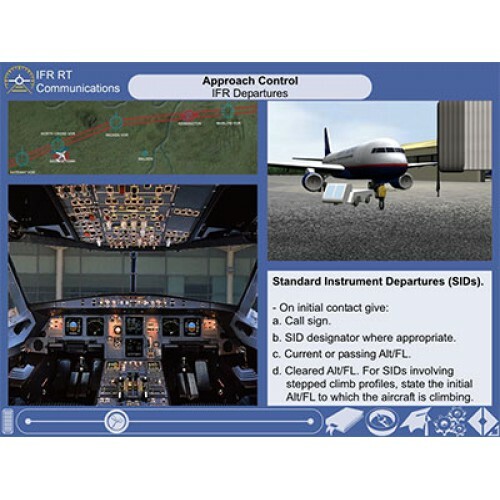 The CBT also covers the IFR elements of the EASA Communications Syllabus and therefore, will also provide excellent preparation for the EASA ground examinations in IFR RT Communications.